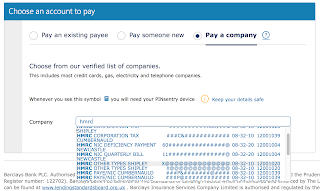 RevK®'s rants: Fraudsters get £120,000 in email scam - who is to blame? 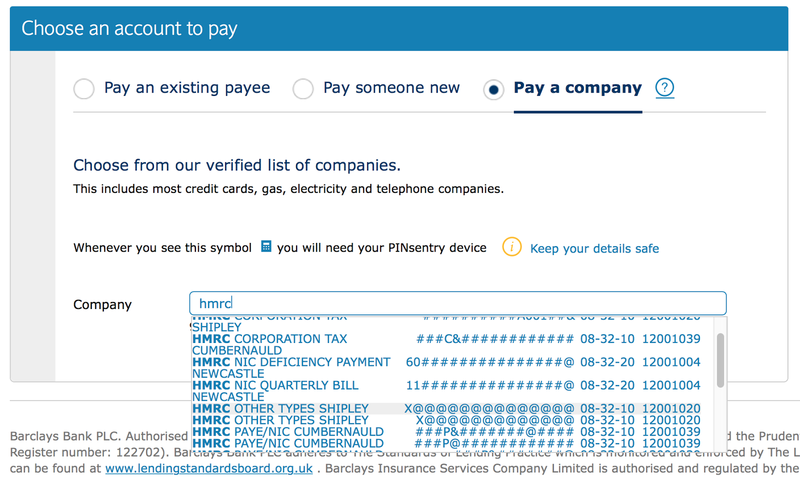 One other suggestion - if you're doing an electronic payment of a large sum of money, then make a small initial payment (say £100) first. Even if there's no attempted fraud involved, this will ensure that you haven't muddled the numbers up in some way. Once you've done the initial payment, check by an independent means with the payee that they have received the money. Once they confirm receipt, send the rest. Other coverage of this fiasco suggests that the receiving bank (NatWest) permitted the fraudsters to withdraw £20K per day IN CASH from the same account on six successive days, and then walk away. If that kind of behaviour doesn't automatically ring alarm bells in the bank...? Five opportunities (to apprehend or at least delay the fraudsters) missed over five days. "the FCA explained in response to the Tesco Bank hack that the banks it regulates should make fraud victims good. And it has always been the common-law position that in the absence of gross negligence a banker could not debit his customer’s account without the customer’s mandate. What’s lacking is enforcement. Nobody, from the Home Office through the FCA to the NAO, seems to want to face down the banks. Rather than insisting that they obey the law, the Home Office will spend another £500,000 on a publicity campaign, no doubt to tell us that it’s all our fault really." He's also had a few words to say on The War On Encryption. Apparently they phoned the solicitor for bank details - why weren't they given them there and then? This is the way it usually works - yes there's a risk you misdialled and got a fraudster but it's much lower as you're initiating the call to a known person. Sending an email with the details on seems to be just opening yourself up to risk of fraud (as is post.. email isn't special here). Given the sums involved I'd get the details when I was at their office (as I did when I was buying my house). The solicitor is responsible for the breach of their email systems (they could of course try to reclaim from the culprit), but other than questions about how a fraudster got an account in the first place I can’t see how the bank is responsible. Well, assuming there was a breach. I think this episode illustrates well how useless the ever increasing bank regulation is, in terms of theory, practice and enforcement. Know Your Customer regulations should have foreseen or prevented this kind of fraud - how can an account formed by a company run by a director with many shady-sounding different companies of no clear purpose, receive £120,000 and then withdraw it in cash over 6 days? Surely either there should be restrictions on such withdrawals, eg amounts above £x000 cash withdrawal require formal identification (eg passport), logging and verification of real purpose? Or if a new account suddenly receives an enormous payment inbound it should be put into escrow while investigated? I know people will say - oh, more regulation? But the existing regulation is already annoying enough for regular people yet loose enough for these kinds of fraud! Why, if as an individual with a provable, safe history, I can't withdraw more than a few hundred pounds in cash each day, can a brand-new limited company with a shady director then withdraw tens of thousands? Only the other day did I receive get another one of those paperwork forms from a financial institution I deal with, asking for details of my nationality, NI number and whatnot. What's this all for?! Yeh, don't understand police not investigating. As for a company, well, the company is "legit", and the ID could be the bank issued debit card... So not that simple. Tricky - the only non-legit case is someone that has been formally disqualified from being a director, else anyone can make a company and that company is absolutely "legit" from a banking point of view. i.e. a threshold is defined in "disqualified as director" and making a new threshold is not usually sensible. So this fraud isn't a new thing and when buying my current home, there was even a warning in the solicitors' email signature/small print warning of such. However, I was rather surprised that the company were a little put out about me phoning them after being emailed their bank details for payment, and checking they were correct! I suspect the signature was a generic one and the individual people didn't really know what it was about. And to cap it off they even asked me to stop signing my emails as their email system didn't like it and was causing them problems!! Wow, just wow, ask them to stop singing their letters as you scanner does not like the colour! If banks aren't going to make any kind of check on the account name, wouldn't it be better if they removed it from the form? Well, I suppose. It is included in the BACS/CHAPS data as far as I know, but you have to wonder why I guess. The Guardian article bangs on about something or other being "hacked". This is probably rubbish. We have clients who think that when we do a password reset on their account we are "hacking into their account for them". Most people, journalists included, don't know what 'hack' means. "Peter telephoned his family’s long-used firm of solicitors, Steed & Steed, based in Braintree, Essex. He rang because he was due to pay his grandmother’s inheritance tax bill to HM Revenue & Customs and needed the law firm’s bank details. Later that morning, an email duly arrived with the firm’s account and sort code detailed in a Word file attachment. This was the first contact he had had with anyone at the law firm, he says." HMRC have been on to us and are going to take legal action if you/we don't pay the inheritance tax bill by Monday. They are also going to start charging a fine of £500 per month under new EU directive XYZ. So, please call my office immediately to arrange payment today and I can ensure the fines and legal action don't happen. My direct line is 0xxx xxxxxx. Thanks. As long as one or two of those 10 million emails reach a genuine S&S client who is due to pay some IHT then the scammer is a winner. Peter reads it, panics at the threats of fines and legal action from HMRC, "indeed we have dragged out the administration of Granny's estate for a couple of years, HMRC must be pretty mad, arrrgh! ", in a rush he picks up the phone to the scammer, asks for the bank details, drives straight to the bank, and the rest is history. He then calls the scammer who confirms receipt of funds. His second call though is to the real solicitor ("Gee, Mrs Victim, S&S must have a problem with their phones today; their new number isn't working; I'll dig out their old number and try that"). The real S&S then denies receipt of funds. I reckon the real solicitor is clean - they didn't ask him for the money nor provide dodgy bank a/c details. I reckon the sending bank is clean - they didn't supply the bank details of the scammer - they just acted on correct instructions. Given the number of solicitors and the low rate of spam success these days I think targetting a specific small solicitor would be pointless. I think a hack was much more likely, the scammer could easily collate a list of solicitors from comprimised account data, or phish them for a login or any number of methods. Given the very large prizes on offer it would justify significant effort. 1) Victim calls solicitor, secretary doesn't have the bank details but emails a clerk or partner to forward on. 2) Scammer is monitoring the mailbox where this message is sent. Perhaps the scammer has software to automatically filter emails into a subfolder where they can review them and decide to reply or move them back to the inbox. 3) Scammer has access to all the solicitor's emails so they can compose a very convincing reply with the scammer's bank details. Presumably they delete it from the sent mailbox. 4) Victim receives what appears to be an authentic email and would otherwise pass all tests for legitimacy. Further to my replies, I have been following this on a forum I frequent (Pistonheads) and a poster on there claims to know the couple well, and disclose that the client's email was hacked, not the solicitor. Not what I was expecting! https://www.pistonheads.com/gassing/topic.asp?h=0&f=10&t=1703142&i=80 - the reply by "PIGINAWIG"
That was one of the possibilities, as per my blog post. Shame. Police really should investigate as should have plenty to go on if they follow the money. But sadly a case where the couple were defrauded, not the bank, nor the solicitors. Sad. I'm afraid that as soon as he was referred to as "a bloody decent lad" I stopped believing any of it.